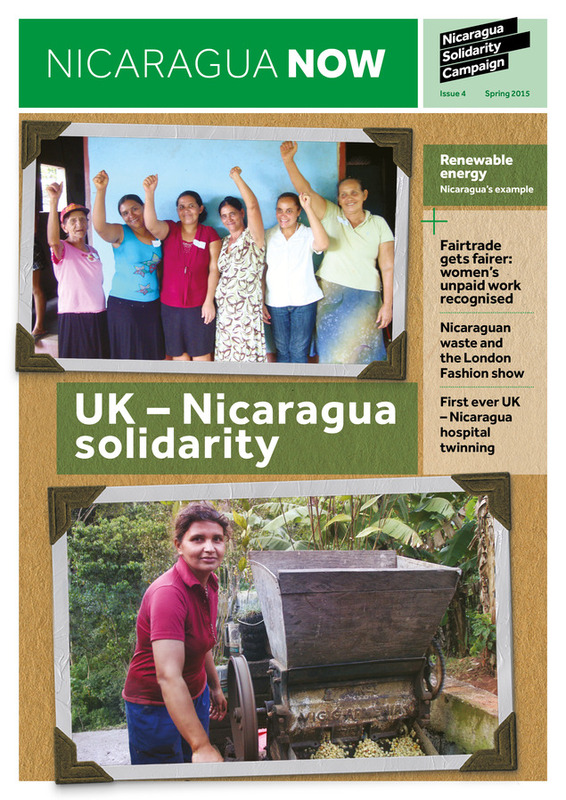 The Nicaragua Solidarity Campaign has just published its latest newsletter on its website. This time Nicaragua Now (see here) carries several articles from our campaign – interviews with Florence Jaugey, and Fatima Ismael from SOPPEXCCA (who’s visiting Cardiff at the end of June). In addition to this there are articles about renewable energy, turning waste into fashion, and making fairtrade fairer. Mae cylchlythyr Nicaragua Solidarity Campaign newydd ymddangos ar ei wefan. Y tro hwn yn Nicaragua Now (gweler fan hyn) mae sawl erthygl gan ein hymgyrch – cyfweliadau gyda Florence Jaugey a Fatima Ismael o SOPPEXCCA (sy’n dod i Gaerdydd ar ddiwedd mis Mehefin). Yn ogystal â hyn, mae erthyglau am ynni adnewyddol, troi gwastraff yn ffashiwn, a gwneud masnach deg yn decach byth. With debate raging about the pros and cons of the Inter-oceanic canal, a new book by an academic with long-standing links with Central America is timely. The Violence of Development by Martin Mowforth looks at the impact of development (or lack of it) on the Central American isthmus. Martin has been a member of the Environmental Network for Central America (and it’s previous incarnation, the Environmental Network for Nicaragua) for several decades. He has also, in his role as a lecturer at the University of Plymouth, written extensively about development, particularly the impact of tourism. For his latest book he casts the net wider. Unlike more conventional studies, he also draws heavily on information collected through activism, particularly his editorial role for ENCA’s newsletter for over twenty years (see here for its recently revamped website). After an opening chapter looking at different theories of development, he goes on to examine how this has played out in practice. The major themes of environment, violence and globalisation run through each of the chapters, but he also highlights alternatives. The main work concentrates on key areas, including food, water, energy, mining, forestry, industrialisation and free trade, indigenous groups, and violence and human rights abuses. One of the key questions he raises, particularly in the chapter on energy, is ‘can large projects ever be designed, managed and regulated to benefit local people, even if there is a net gain for the nation?’ The evidence he presents from Central America suggests this is rarely considered. And what of Nicaragua? The country is as prone to the contradictions of development as others in the region. To take two examples. In forestry, Law 445 protects the rights of indigenous land owning (and by implication the forests on it), and has an active environmental battalion in the Army, but still has one of the highest rates of de-forestation in the region. And in the chapter on industrialisation and free trade, it has the best worker conditions in Central America in the Free Trade Zones, thanks to agreements between the government, the unions and the companies, but also the lowest rates of pay. However, in one of the main concerns of the book, on the physical violence that comes with development, there is no comparison. Unlike Honduras and Guatemala, in Nicaragua there are no death squads, no murder of trade unionists, journalists, environmentalists and campaigners. Even in neighbouring Costa Rica (‘the Switzerland of Central America’), environmetalists are killed almost every year, something recorded in the ENCA newsletter with depressing regularity. 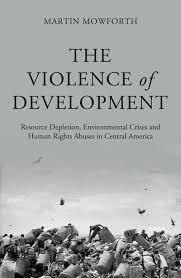 The Violence of Development asks some thought provoking questions. He concludes that “Death threats, assassination and terror are precisely the tactics used to ensure the ‘success’ of development projects” under neo-liberalism. Mae’r paratoadau yn parhau ar gyfer Gŵyl Victor Jara ar ddiwedd mis Gorffennaf. 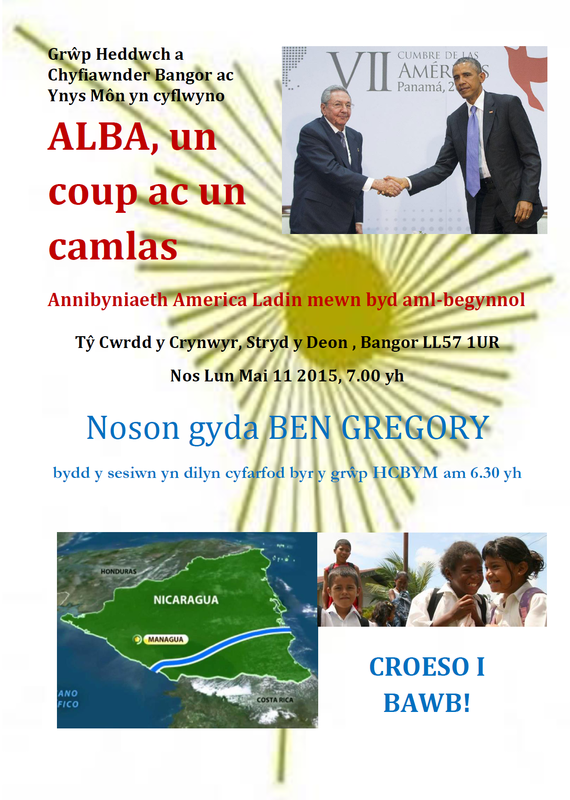 Dyma’r poster diweddar iddo fo. Hefyd, peidwch ag anghofio am yr apêl Kickstarter i gefnogi’r ffilm Chile – gweler fan hyn i gyfrannu (wythnos i fynd), a fan hyn i ddarllen mwy ar ein blog. The preparations for the Victor Jara Fesitval are continuing at the end of July. Here’s the latest poster for it. Also, don’t forget the Kickstarter appeal to support the Chile film – see here contribute (a week to go), and here to read more on our blog. 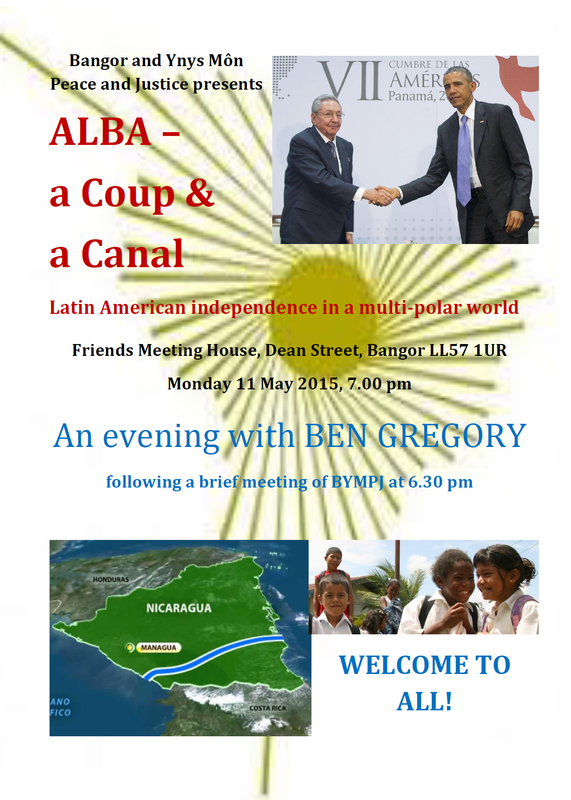 A member of the Campaign will be speaking in Bangor next week. 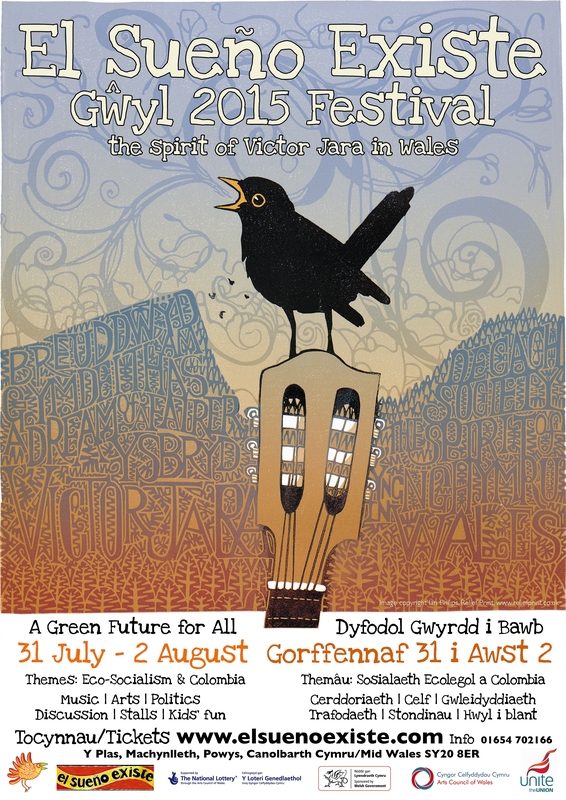 Aelod yr Ymgyrch yn siarad ym Mangor yr wythnos nesaf.